I’m thrilled to share I’ve now entered the future of storytelling and have joined wattpad! And to get started, MetaWars 1.0: Fight For The Future is now live on wattpad! 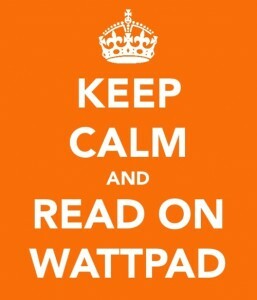 Now, if you don’t know wattpad, it’s like a global camp fire for storytelling. It’s been referred to as the youtube of writing. I think that’s a pretty accurate description. I’m facinatined by any technology that brings people together, especially storyteller and audiences, and I think watt pad is nothing short of a revolution in the way we read. It’s mobile, compelling, and social….everything Penguin paperbacks were in the 1930’s! I tend to think of wattpad as paper book 2.0. Sometimes in the book biz, people despair that people aren’t reading enough anymore. But wattpad offers an amazing ecosystem of reading, ranging from enthusiastic fan fiction to establish authors like Cory Doctorow and Margaret Atwood (who is also a founder/investor in it!). Whenever I do a school visit and speak to aspiring writers, I encourage them to share their creativity on wattpad. It allows them to share their works, receive feedback, and form a community. Writing can be a lonely business and wattpad brings together writers from all over the world. So, I hope to see you on wattpad and…happy reading!